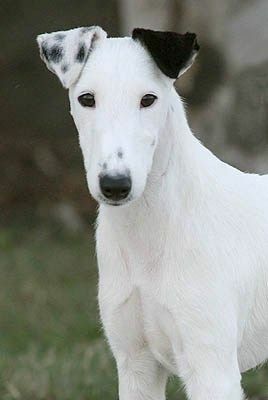 The Smooth Fox Terrier is square-proportioned, standing over a lot of ground but with a short back. Its shape exhibits speed, power, and endurance, allowing it to bolt and keep up with the horses and hounds during hunting and to chase after foxes in narrow passages. The gait while trotting gets most of its propulsion from the rear quarters. The expression, like the attitude, is keen; the carriage is alert and expectant. The coat is flat, hard and dense, also with a short, fine undercoat. The Smooth Fox Terriers are bold but not aggressive with people. What Price are Smooth Fox Terrier Puppies? The average price of Smooth Fox Terriers is anywhere between $700 to $1,000. How to Find Reputable Smooth Fox Terrier Breeders? Going online is a good place to start looking for reputable breeders. But unless they have been personally recommended or are affiliated with recognized kennel clubs, then you could be just wasting your time. Instead, consider asking your local vet, visit a dog show, or look online at The American Kennel Club who offer breeder referrals. There is no substitute for reliable personal recommendations either. If you know someone with a fantastic puppy, ask them which breeder they got it from. There are a number of questions that you can ask breeders which will help you identify whether they have the best interests of their animals at heart. The key things you should be asking should include how long they have been breeding for. Most reputable breeders have been dedicated to the practice for some time, and there is a little substitute for experience. The longer a breeder has been breeding dogs, the more knowledgeable they are. A reputable breeder will not breed an animal until it reaches full maturity. For dogs, this should be no longer than two years old, or ideally three. Responsible breeders breed female dogs no more than once a year. Any more than that is already considered puppy farming. The very best environment for a puppy to be raised in is a regular household. This means that they are exposed to people and animals at an early age. A puppy that is raised in a family environment is more likely to be friendly and relaxed. Puppies that are isolated are prone to aggression, anxiety, or shyness. Any reputable breeder will be happy to provide you with references to successfully homed pups. They may even go so far as to refer you to other breeders. The breed also has a strong inclination to be a trick dog and has traveled around the world with circuses and performance troupes. The Smooth Fox Terriers are affectionate with children but may be too active for some. The Smooth Fox Terrier has a lively and energetic appearance. Its body is compact and muscular, made for agility and speed. It has a short body and a long sleek face, with ears that fold toward the cheeks. The coat of a Smooth Fox Terrier is short, dense, and flat against the body. The hair usually covers the belly and inner thighs. The color of the coat is predominantly white with markings of black and tan.The coat is easy to keep looking neat. How Big is a Full-Grown Smooth Fox Terrier? The male Smooth Fox Terriers can grow as tall as 15 inches while females grow as tall as 14 inches. Males can weigh 17 to 19 lbs. while females weigh 15 to 17 lbs. What is the Life Expectancy of the Smooth Fox Terrier? The life expectancy of Smooth Fox Terriers is 10 to 13 years. The Smooth Fox Terrier has a keen sense of smell, good eyesight, and remarkable staying power to finish the job. The Smooth Fox Terrier is easily trained, but he needs a strong hand to control his desire to hunt. This dog is happiest when active and is best-suited to an active family. Anyone who leads an active lifestyle and likes to take his dog along will be perfectly suited to this breed. The Smooth Fox Terrier is friendly, energetic, and outgoing. These dogs are wonderful companions for children and never tire of all sorts of games. Smooth Fox Terriers are loyal, fearless, and spunky who like spending time outdoors as much as they love being with people. Smooth Fox Terrier pups between 8 and 12 weeks old need 4 meals every 24 hours. Puppies 3 to 6 months old should be fed three times a day. Puppies 6 months to a year old should be fed two meals a day. When the Smooth Fox Terrier reaches their first birthday, one bowl of food a day is typically all that’s required. Some adult Smooth Fox Terriers, however, prefer two lighter bowls. It is your job to adapt to your Smooth Fox Terrier’s eating schedule. Excellent-quality dry dog food ensures a well-rounded diet for full-grown Smooth Fox Terriers and can be mixed with water, canned food, or broth. Your Smooth Fox Terrier may like fruits and vegetables, cottage cheese, and cooked eggs, but these foods should be less than 10% of their daily allowance. 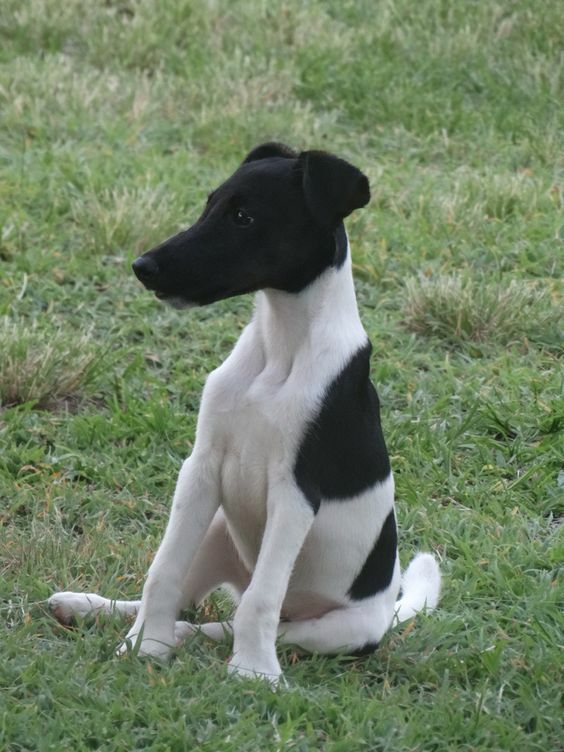 Smooth Fox Terrier puppies should be fed top-quality, brand-name puppy food. Try to cut down on people food since it can result in mineral and vitamin deficiencies, bone and teeth issues, finicky eating habits, as well as obesity. Never feed your Smooth Fox Terrier beer, wine, or liquor. They also cannot eat tea, coffee, and chocolates. They also cannot eat raisins, grapes, garlic, chives, onions, salty foods, and unripe fruits. How Much Exercise Does a Smooth Fox Terrier Need? Smooth Fox Terriers are small, but they have the energy to spare and need a lot of exercise to maintain health and happiness. Even when inside the house, they are constantly moving. They prefer running to walking, so joggers have a true-blue companion in this breed. They chase balls to the point that some owners believe they are obsessed with the activity. They can use up all their energy playing fetch, as long as your arm doesn’t tire out in the process. Their size makes Smooth Fox Terriers fine apartment dogs, but a commitment must be made to keeping up with a regular exercise program. Smooth Fox Terriers are independent thinkers who will make you want to prove that you are the pack leader. Training sessions should begin early and conducted with a firm but gentle hand. Consistency is important, as Smooth Fox Terriers will test boundaries. Once a Smooth Fox Terrier learns that there is something in training that benefits him, he will come around quickly. Smooth Fox Terriers are prone to excessive barking. This is a classic Terrier trait and can be very hard to remove. This makes them great watchdogs, but very bad housemates and neighbors. Teaching your Smooth Fox Terrier to stop barking can save the sanity of the neighborhood. They are small, but they can escape a fence in the blink of an eye. Fences should be high and also sunk low beneath the ground. Yard time should always be supervised. Your Smooth Fox Terrier should visit the vet for thorough exams, vaccinations, and heartworm examination annually, and as soon as possible if gets hurt or sick. They are also prone to Halitosis. Dental plaque brought on by unhealthy bacteria results in a bad stench that can only be eliminated by professional treatment. After a cleaning from a professional, the gums and teeth may be kept up by feeding a special diet focused on dental health, regular brushing, and eliminating table food. Even though bad breath caused by oral disease might not be too serious if detected early enough, sometimes halitosis may be indicative of serious, persistent causes for concern. Diseases of the intestines or liver may cause bad breath, while a fruity, pleasant smell can often be a sign of diabetes. If your Smooth Fox Terrier’s breath smells of ammonia or urine, kidney disease is a possible reason. The Smooth Fox Terrier is active, alert, friendly, and energetic without being high-strung. Through his enthusiastic expression and attentive demeanor, the Smooth Fox Terrier gives the impression of a dog ready to take on any task. They are bold but not aggressive with people. They are affectionate with children but may be too active for some.